That’s it. I’m leaving the country. Since Planet Earth II isn’t available stateside yet, I can’t in my right mind live here knowing that there are other people in this world enjoying the soul lifting freedom that comes with seeing all this beyond gorgeous footage of our world and every creature in it. 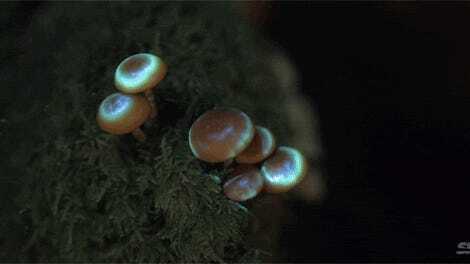 Just watch this clip from the latest episode, “Jungle,” showing glow in the dark fungi sprouting up in a time lapse. It’s unreal. 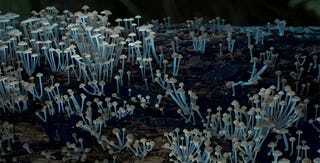 The glow-in-the-dark features of the fungi tricks insects into coming into contact with the fungi so that the bigs will spread its spores all over the place which means more fungi will grow in previously unreachable places. But I don’t care about that. 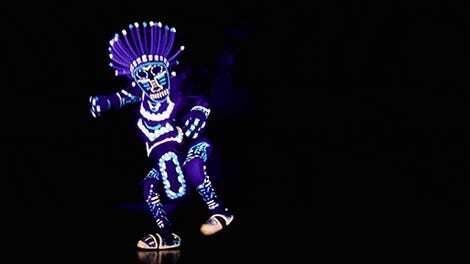 I just want to get outside these walls so I can see the world in all its beautiful glory.